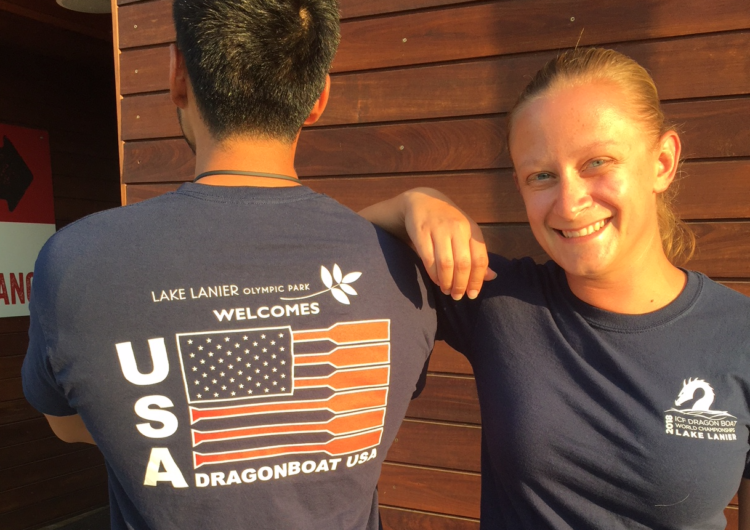 AZDBA and its entire paddling community would like to extend a warm congratulations to Adrian Sudjono and Laura Baack for making the ICF/ACA’s Dragon Boat USA National Team! o Land-based physical fitness baseline testing – e.g. pushups till failure, timed plank, pullups till failure, and a timed one-mile run. Both did well enough to advance to the final round of the trials held in Gainesville, GA in late July. 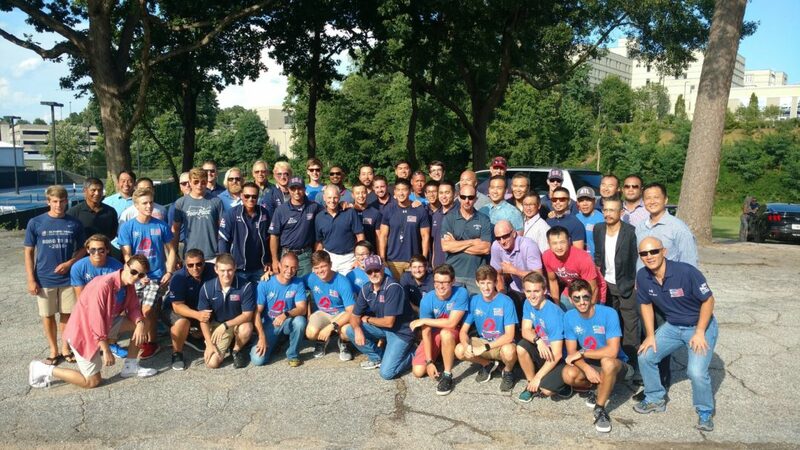 At that 3-day invitation-only camp, the group was separated out by gender, then subjected to 3 days of intensive on-water paddling drills under the watchful eye of Mike Blundetto, U.S. National Team Head Coach who has 30+ years of Dragon Boat experience at the worlds level, and was a World Champion at the 2014 Nations Cup. Day #1 was an 8 hour affair with over half of it in the water. The group was video taped for their technique, and coached to adapt to the ICF Team USA style of paddling. ICF adapts a true “A-frame” that is characterized by straight arms, and stacked shoulders. There were 7 boats being utilized for the trials, with 140 paddlers on the water at the same time. Adrian noted “There were a lot of drills, drills, and more drills. I think the entire group struggled a little physically that first day, not realizing how physically intensive it was going to be.” Also, the seriousness of the competition was evident as the athletes were not shy in aggressively jockeying with physical contact during practice time in the water as a not-so-subtle hint for paddlers in front of them to reach/rotate more. “That was happening in all the boats. Day #2 did not see a let up in the activity. There were a couple of 3 hour sessions, with assistant coaches stationed in every corner of the lake observing the group. “We did a lot of starts – 3 in a row, with a minute rest in between rounds,” he said. The coaches appeared to key in on endurance and conditioning as one of the key indicators. “It seemed like the real evaluations only started after 3 hours into our paddling session, when paddlers were tired and some were even running out of water,” he observed. While the group was not subjected to any extremely long pieces to test cardio endurance, the biggest challenge Adrian said was having to sustain a 118 spm rate for about 300m (about a minute). The physical demands on each paddler proved to be too much for many, as Adrian noted that some paddlers did not show up for the final day. So whats next for the pair? Its on to Lake Lanier in Gainesville, GA for the ICF Worlds 2018 being held from Sept 12-16. 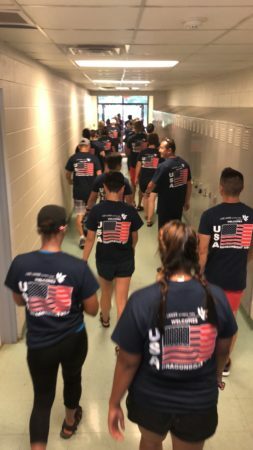 Incidentally, the site is the same location where the 3-day final camp for Team USA was held, so it will be returning to familiar territory for Team USA. “We’ll be there for 10 days. The extra upfront time before the Worlds will be for final preparations and tweaking for Team USA,” Adrian said. All divisions will race 200m, 500m and 2000m races in 20 and 10 person boats. 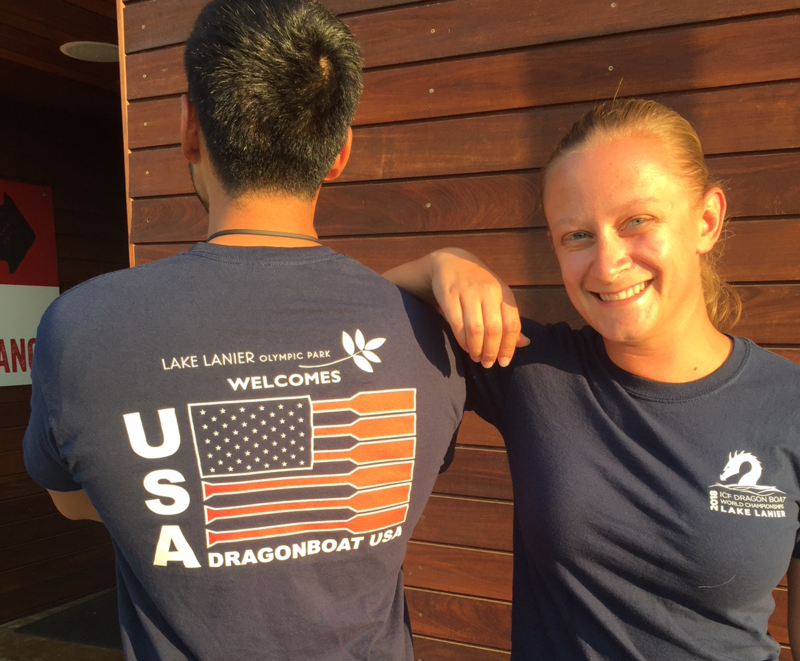 AZDBA would like to once congratulate both Adrian and Laura on their monumental achievement! Lets wish them the best as they proudly represent both Arizona and the USA in their quest for Gold at the 2018 ICF World Championships!